The JOKER is a 25 sqm elegant apartment on the stilted ground floor, with entrance from the Tower’s front square: it features living room with kitchen corner and a small double bedroom; the bathroom is equipped with all the sanitary ware, included the shower, and has a window. 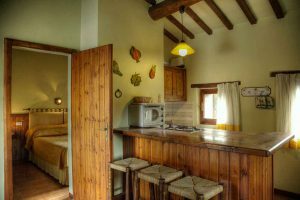 Furnished with antiques and elegant fabrics, it features AC, independent heating system, dish-washer, flat TV, telephone, WIFI internet connection, hair-drier, safe box, terracotta floor and wood beams. It has plenty of fluffy towels including swim towels, fine bed and household linen, cutlery, crockery and kitchenware, and parking space in the car port. 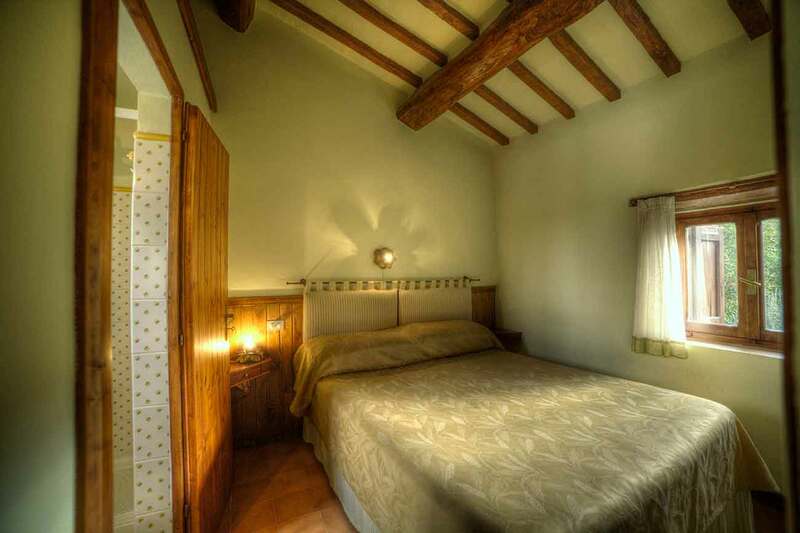 It is full of light and enjoys sweeping views of the Umbrian countryside through its 7 windows.